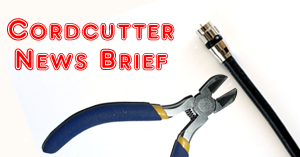 Cordcutter News Brief - What's Coming to Netflix, Hulu, and Amazon in September; FuboTV adds Turner Networks channels; Sling adds more a la carte channels; Amazon creating free streaming service; and more! In this week's collection of recent cord-cutting news items from around the web: What's Coming to Netflix, Hulu and Amazon Prime in September; FuboTV adds Turner Networks channels; DC's streaming service to launch September 15th; Sling TV adds more a la carte channels; Amazon reportedly creating a free streaming service; Roku management's biggest challenge, DIRECTV NOW has dropped beIN SPORTS; and more! "Summer is coming to an end, but that doesn't mean the binge-watching has to stop," says Variety. "A number of original series and popular movies are hitting Netflix, Hulu, and Amazon Prime in September. New offerings on Netflix include the mega-hit 'Black Panther,' along with the streaming giants' new show 'Maniac' with Emma Stone and Jonah Hill. Meanwhile, Amazon Prime is debuting 'Forever,' which stars 'Saturday Night Live' alums Fred Armisen and Maya Rudolph. Over on Hulu, Sarah Silverman's 'I Love You, America' will drop its second season." A press release from beIN SPORTS states that "Despite beIN SPORTS USA's offer to extend its contract with AT&T / DIRECTV / DIRECTV NOW, they chose to abruptly cease negotiations and drop the beIN SPORTS channels from their lineup. beIN SPORTS remains committed 24-7 to re-establishing access to our service in an effort to move our channels to lower priced packages that ultimately save viewers money." beIN SPORTS is still available through Sling TV and fuboTV. Deadline reports that "[t]he Turner portfolio gives fubo 40 total networks featuring sports included in its basic subscription plan. The multi-year deal brings TNT, TBS, CNN, Cartoon Network, Adult Swim, truTV, TCM and HLN to fuboTV's $40 monthly package. Turner has rights to the NBA, Major League Baseball playoffs, the NCAA men’s basketball tournament and the PGA Championship, plus soccer and eSports." Also from TheVerge, we're told that "[t]he service is scheduled to launch on September 15th, while the first original show, Titans, will premiere at New York Comic Con on October 3rd, and will come to the service on the streaming service on October 12th... Warner Bros. announced the platform last year, saying it would come with a slate of original live-action and animated shows (as well as a daily news program) to draw viewers to the service. It'll also have a wide range of classic TV shows, including Lois and Clark, as well as an HD remastered version of Batman: The Animated Series." CONtv ($5 per month) - A curated collection of shows and movies ranging from sci-fi, horror, anime, martial arts, cult, retro-cartoons and grindhouse to original series. Docurama ($5 per month) - A curated collection of documentary films and TV shows. Grokker ($7 per month) - On-demand yoga, fitness, meditation and cooking classes, taught by expert instructors. Here TV ($8 per month) - LGBTQ movies, series, documentaries and short films in their original, uncensored form. Fortune, reporting on a paywalled article from The Information, says that "Amazon is getting ready to release a new video service that will be supported by ads... The service will be available to the 48 million people who own Amazon Fire TV devices, including HDMI dongles made by Amazon or its Alexa-powered Fire Cubes... Amazon may name it Free Dive and offer it as a free alternative to Prime Video, with content such as older TV shows... The service as reported is similar to one that Roku has launched, the Roku Channel, which airs old movies"
The Motley Fool says that "Roku's ultimate goal is to become an embedded part of most TVs by licensing its TV operating system to manufacturers. 'Our fundamental thesis that all TV manufacturers will license an OS has not changed,' CEO Anthony Wood said on the company's second-quarter earnings call... If Roku's thesis is correct, the company's player business may eventually disappear entirely." So, what's the big challenge? According to Fool, "Manufacturers are still working on their own homegrown operating systems, and they're very slow to change... Overcoming the inertia of manufacturers has been a challenge for Roku."